So you’ve shopped till you dropped in Shibuya and eaten your fill of sushi at Tsukiji. Japan still has much more to offer than the sights and sounds of city life in Tokyo. Experience powder soft snow in Hokkaido or go off the beaten track to Kyushu, Osaka and Hiroshima. Okinawa has also been wooing myriad travellers with its coastal beaches and laidback way of life. From July to September, travellers tackle the gargantuan task of summiting Mount Fuji in time to watch the sunrise. For first timers, we recommend the Lake Kawaguchi-Yoshida-guchi course. It will take about 6 hours to climb to the summit of Mount Fuji but the course has plenty of rest points along the way. 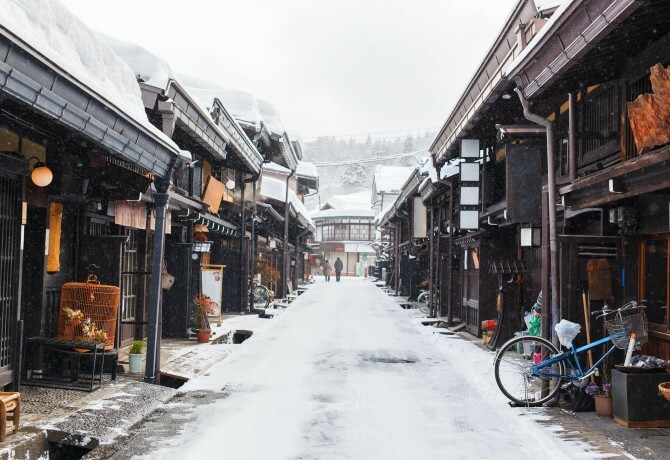 Catch a glimpse of Japan’s rich cultural history in Takayama’s old town. Many of the buildings and streets have been preserved from the Edo Period (1600-1868) and some of the shops along Sannomachi Street have been in business for hundreds of years. Most of the sake breweries in Takayama offer free samples of their products. However, we recommend heading down to Harada Sake Brewery on Sanmachi Street. For 100 yen, you’ll receive an ochoko cup that you can use to sample around 12 different types of sake. 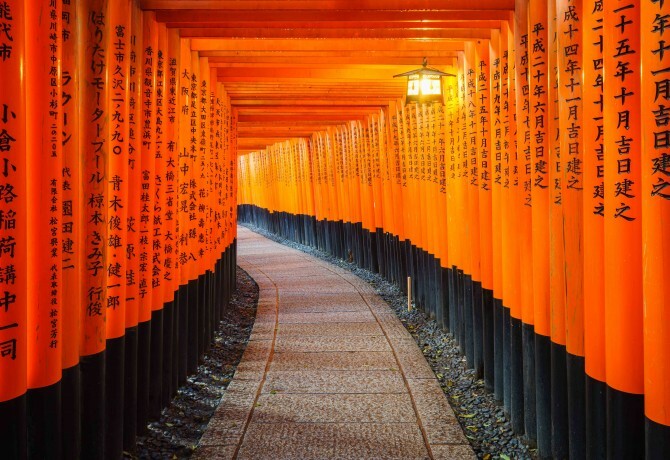 Take a lazy walk through thousands of vermillion tori gates and climb to the top of Mount Inari, a sacred mountain named after the Shinto god of rice. For a spectacular view of Kyoto, make a quick pit stop at the Yotsutsuji intersection. Located roughly half way up the mountain, it will take you half an hour to reach this point. Bathing in an onsen is a quintessential Japanese experience that every traveller should try at least once in a lifetime. It might seem embarrassing at first, but a warm soak will help shed away any shame you might feel about being naked in front of strangers. 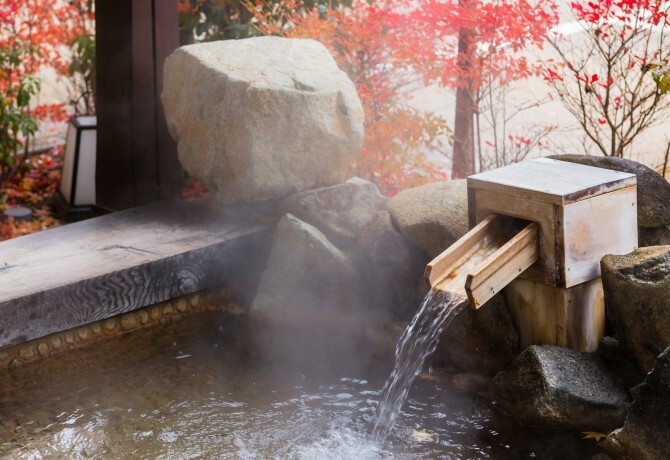 Jozankei is an onsen town located an hour away from central Sapporo. Due to its convenient location, it has a great variety of onsens and ryokans to choose from. Even if you’re not staying at the ryokan, many places will still grant you access to their onsen facilities for a nominal fee. 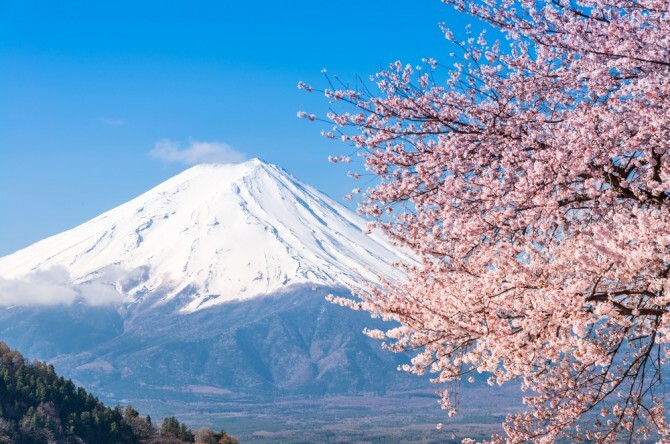 Tokyo Disneyland, Disneysea and Universal Studios Japan are great for families but for the adrenaline junkie, a stop at Fuji-Q Highland is a must. 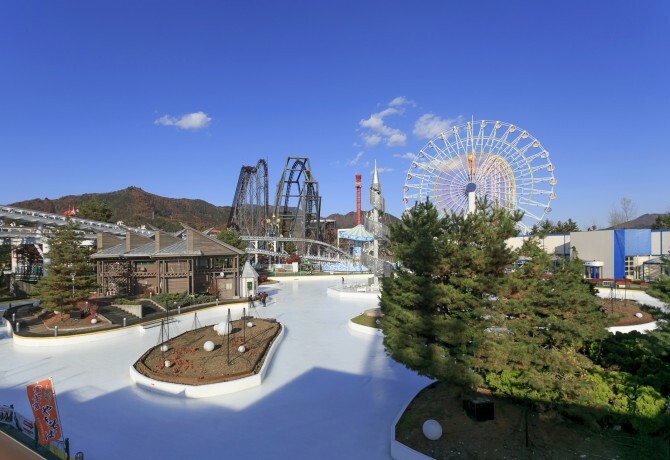 Located near the base of Mount Fuji, Fuji-Q Highland is home to some of the world’s tallest, longest and fastest roller coasters. It also has two haunted attractions. The Haunted Hospital − the world’s second largest haunted attraction − and the newly built Hopeless Fortress. One of the top attractions in Hokkaido during winter, the Takino Suzuran Hillside National Park has six ski trails, a beginner ski slope and the longest tube sled course in the country that you can enjoy for free! Ski rental is also relatively cheap, starting at 820 Yen for the cross country ski set. During the rest of the seasons, Takino Suzuran is an excellent place for a picnic. 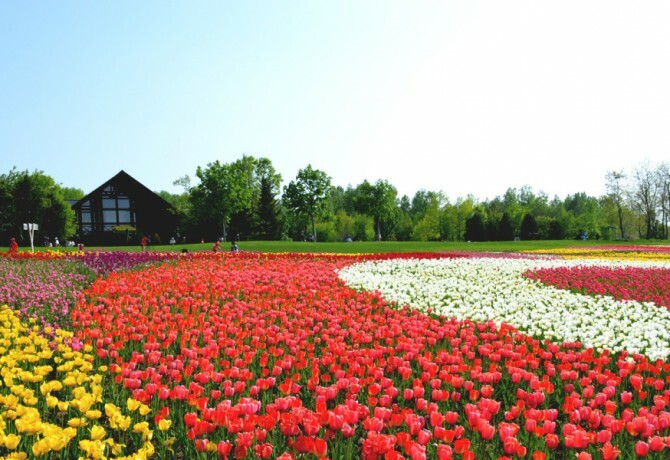 Enjoy the view of tulips in spring, hydrangeas in summer and rich autumn foliage in fall. Otaru is a small village that is easily accessible from Sapporo by train. 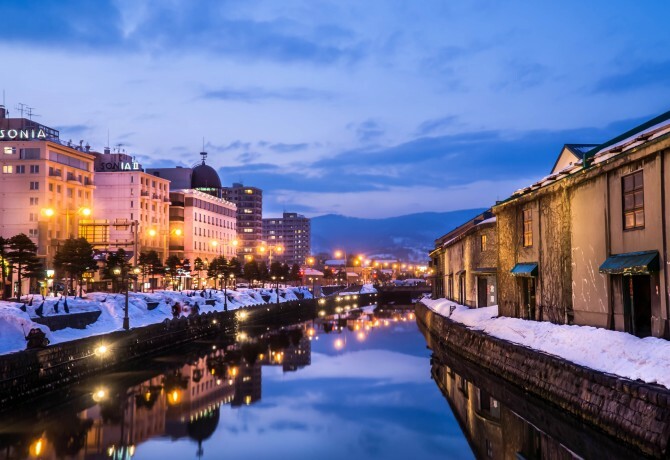 Be enchanted by its old world charm as you walk down Otaru Canal. It is even more stunning at night when it’s lit up with thousands of LED lights. Have lunch at the Otaru Sushi Street and head down to Nikka Distillery, one of Japan’s premiere whisky producers. Alternatively, the Otaru Music Box Museum is a whimsical shop that is sure to delight the whole family. If you’re not one for the cold, head south to Okinawa Island. The temperature here doesn’t dip below 15 degrees, even during winter. 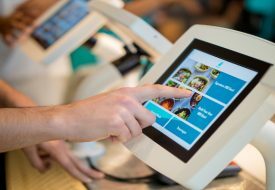 Rent snorkelling equipment, go diving with sharks or simply enjoy a soft serve ice cream cone on the beach. 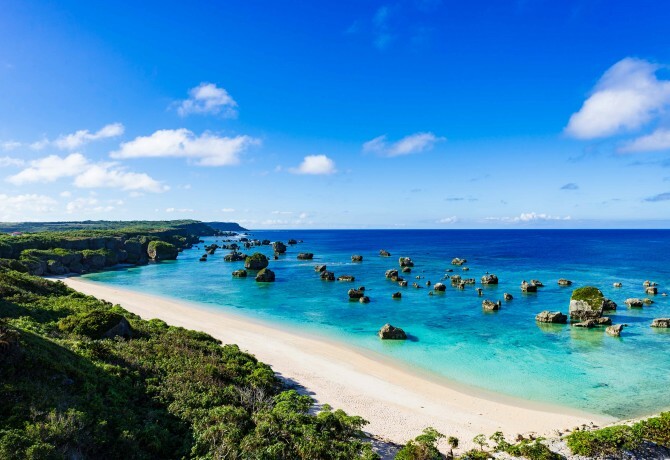 Okinawa Prefecture is made up of other smaller islands known as the Ryukyu Islands. Okinawa Island is the largest, but for a more unconventional experience, try staying at the Miyako Islands or the Yaeyama Islands. Forget sushi, Japan is also a great place to indulge in high-quality wagyu at very reasonable prices. When Koreans first immigrated to Japan, a large proportion of them settled around Tsuruhashi in Osaka. 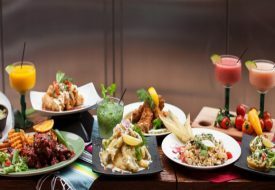 They brought over the trend of grilling meats at the table and dipping it into a sweet barbeque sauce. 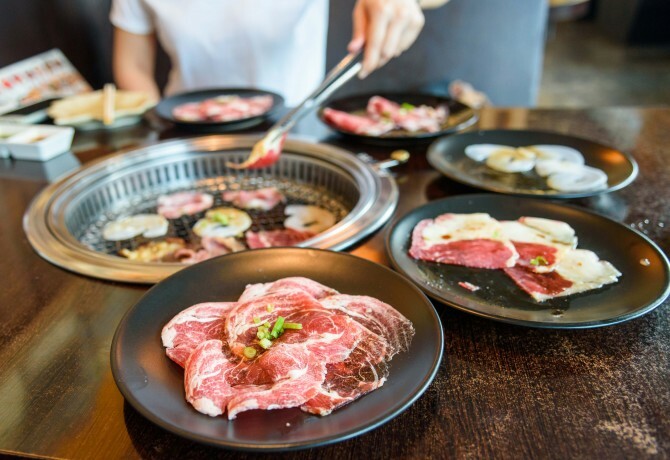 Till today, there are tons of Yakiniku restaurants in Tsuruhashi, now known as Osaka’s Korea Town. Some even offer all you can eat wagyu buffets. The Japanese take great pride in maintaining gardens that have been around for thousands of years. Walk down the same path a feudal lord might have taken with his handmaiden and take in the sights of plum blossoms and maple trees. 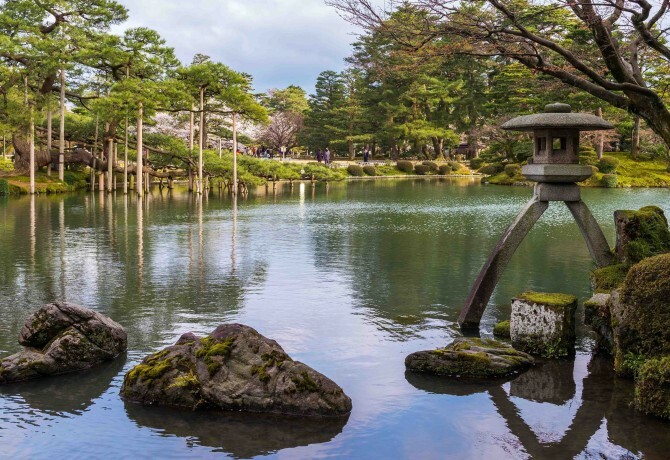 There are three great gardens in particular that you should not miss − Kenrokuen in Kanazawa, Korakuen in Okayama and Kairakuen in Mito. 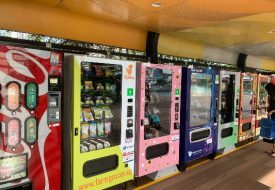 With so much to see and do, it’s no wonder why Japan has remained such a popular destination among Singaporeans.